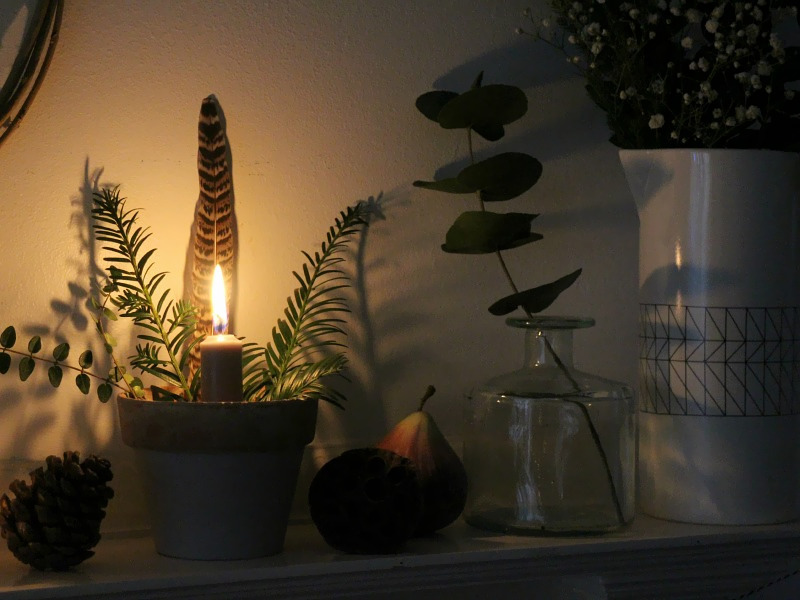 I’d already planned my Styling the Seasons post for December; there was going to be plenty of greenery, lots of candles and some lovely little ornaments – but then Houseology got in touch and asked me to take part in their winter styling challenge, and I happily agreed. 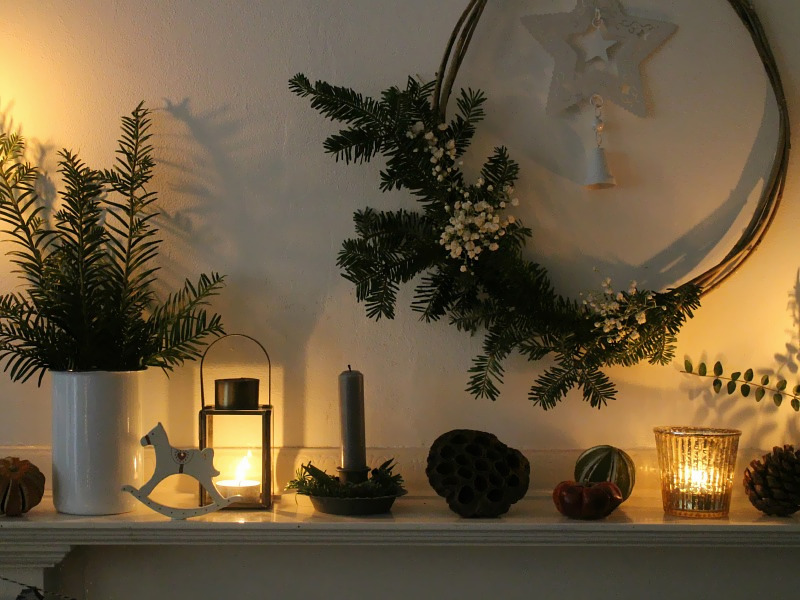 So it ended up with plenty of greenery, lots of candles and, er, some lovely little ornaments. 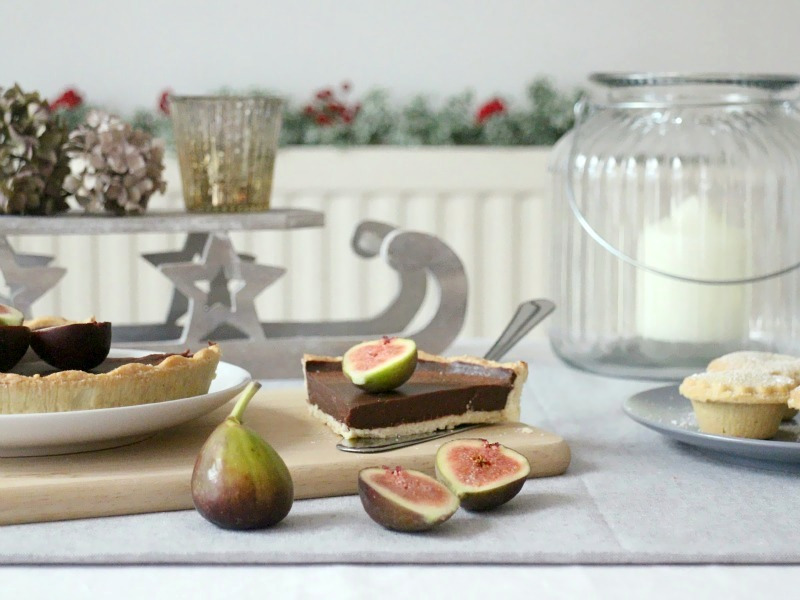 It’s never a challenge to work with any Houseology products, because they fit in so well with the things I love; a bit of vintage styling, some Scandi touches, beautiful rustic simplicity – it all slotted in perfectly. 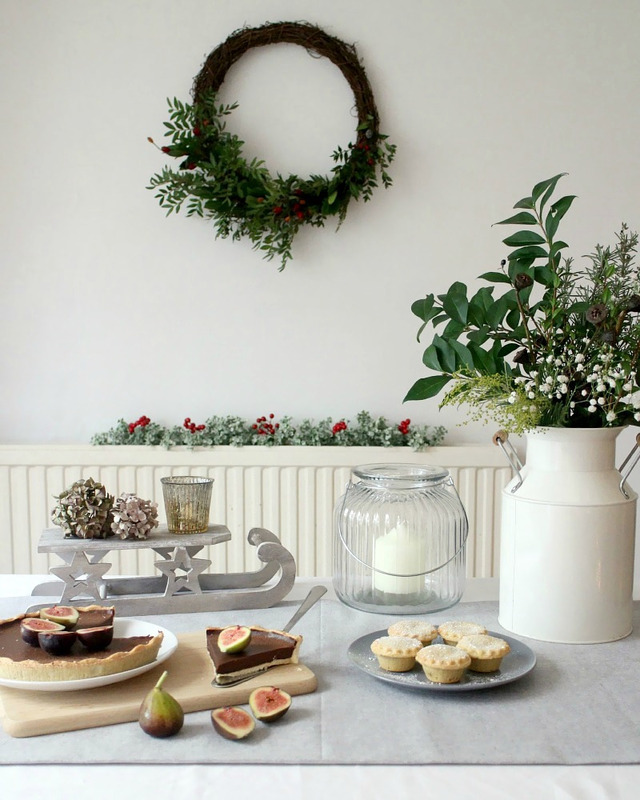 For the dining end of our lounge, I made a simple wreath for the wall and filled an old enamel urn with greenery, then set up the table for some lovely treats from Waitrose made by my own fair hands. 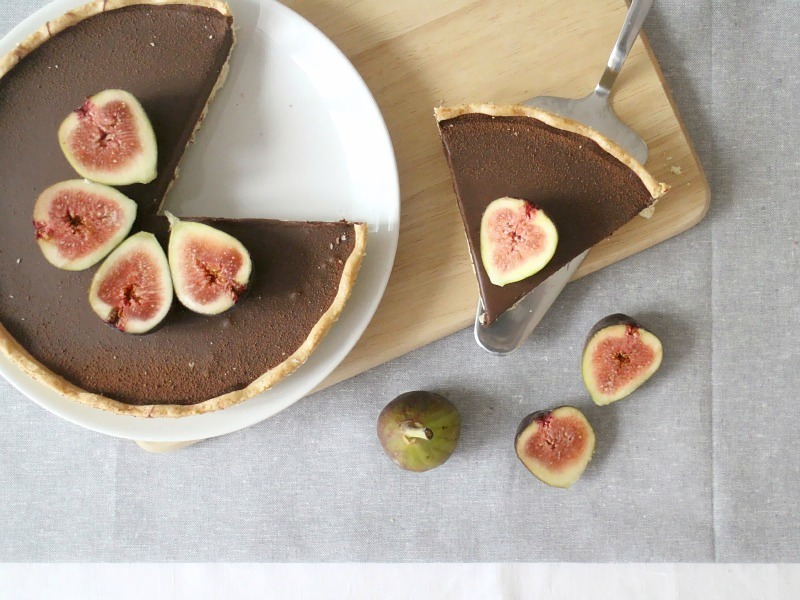 (Well, I put the figs on top, that counts, right?) 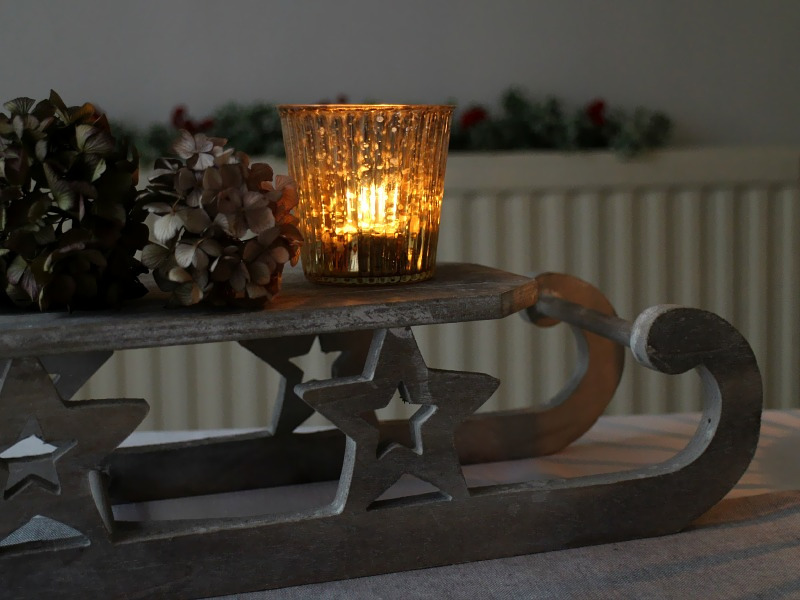 The sledge is one of my favourite things EVER, and I’m going to have real trouble packing it away after Christmas, while the giant lantern has ridged sides and makes the most beautiful pattern on the wall when the candle is lit. 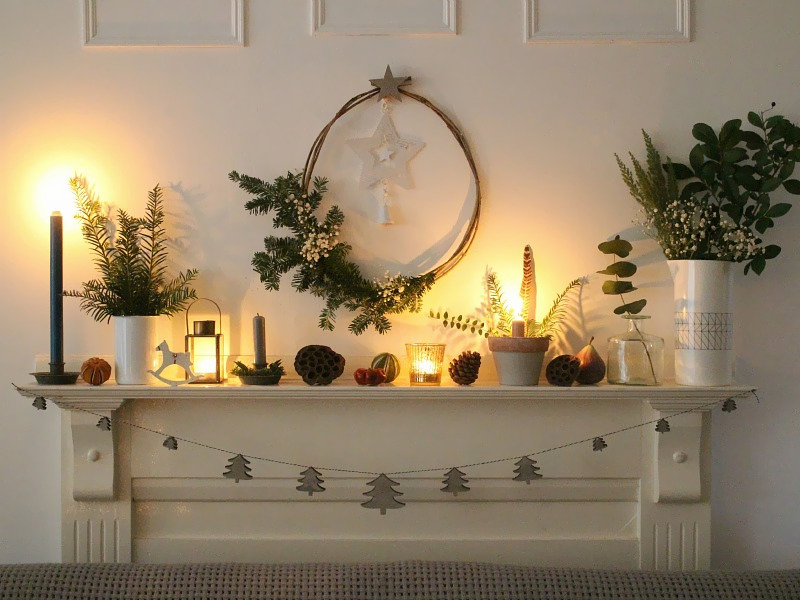 My mantle is my favourite place to style in the house (despite those stupid empty frames that the last tenants glued to the wall, fools), and it doesn’t vary all that much throughout the year. 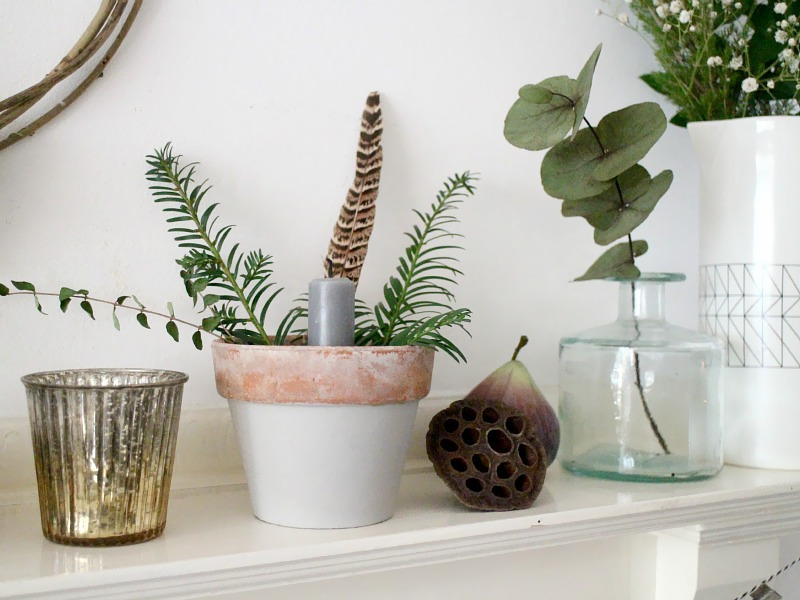 Lots of vintage pots, plenty of nature and usually some sort of garland. 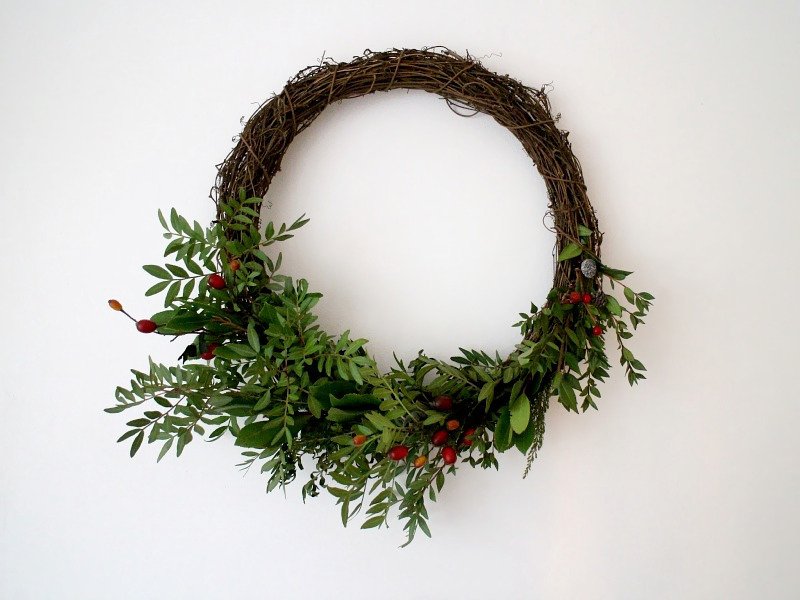 For the festive season, I added dried fruits, seed heads and another wreath – I hung the lovely Scandi-style ornament from Houseology in the middle of this one, because I thought it looked a bit sad and empty. 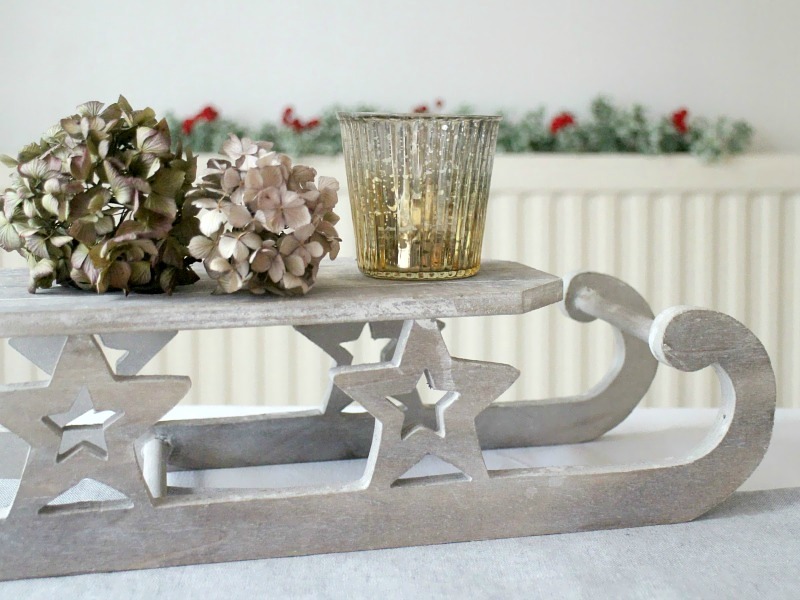 I also added in the wooden rocking horse ornament (would have been wasted on the tree! 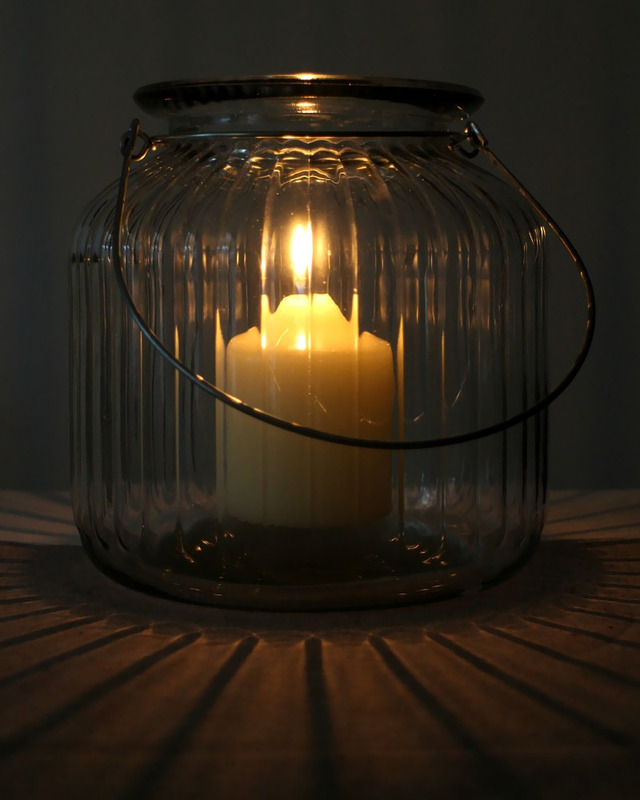 ), a miniature lantern style tealight holder, and a beautiful geometric jug. 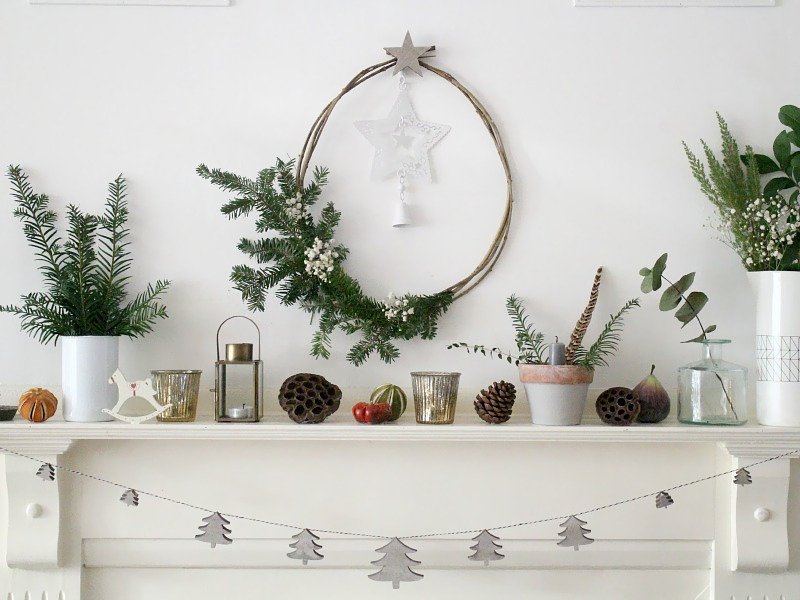 I’ve got to be honest, I think this is my favourite Styling the Seasons post I’ve done so far – but then everyone likes a bit of Christmas, don’t they?! 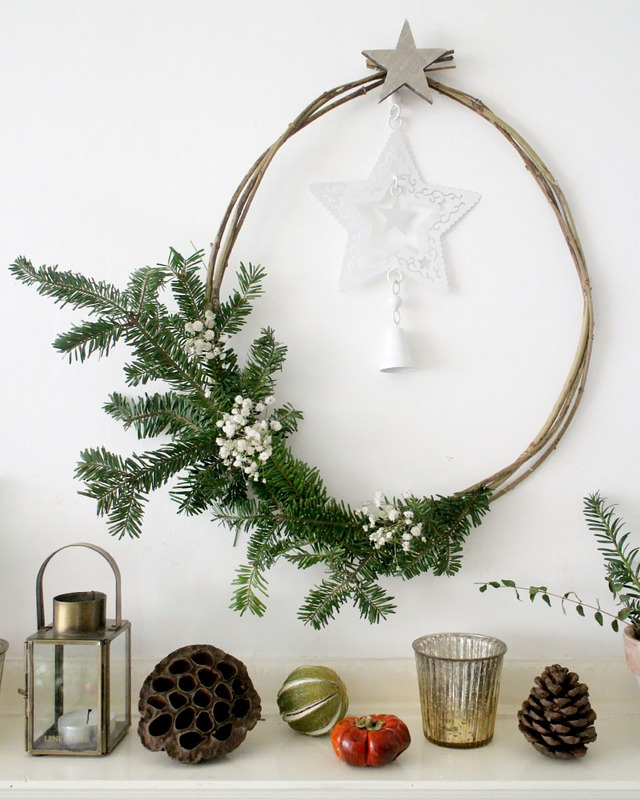 Many thanks to the lovely folks at Houseology for collaborating with me on this post. 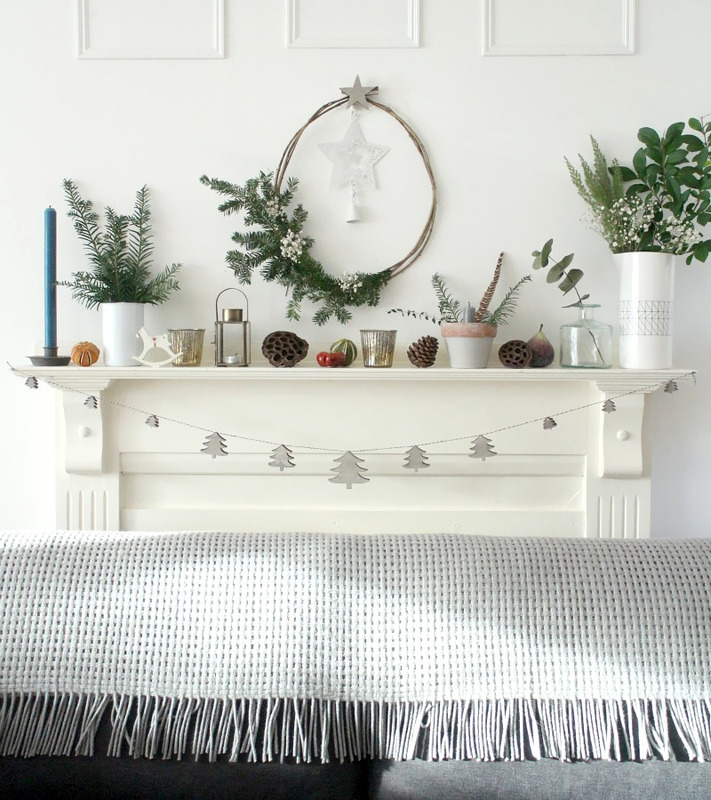 Oh, am very envious of your mantelpiece display – so clean and fresh. And then all those cosy shots are a nice surprise too. Yes, I think we all love a bit of Christmas. Have a good one.